We have been super busy recently, packing even more features into the ArtStation Pro website builder! In this update, we added lot of customizability features into the themes, helping you to get a unique looking website. We created ArtStation because our artist friends who had websites never updated them and abandoned them. Sure, there are many website builders out there, but they are expensive, don’t really offer tools specific to our industry and don’t help you to get visibility and or update easily. We believe that every artist deserves a website. 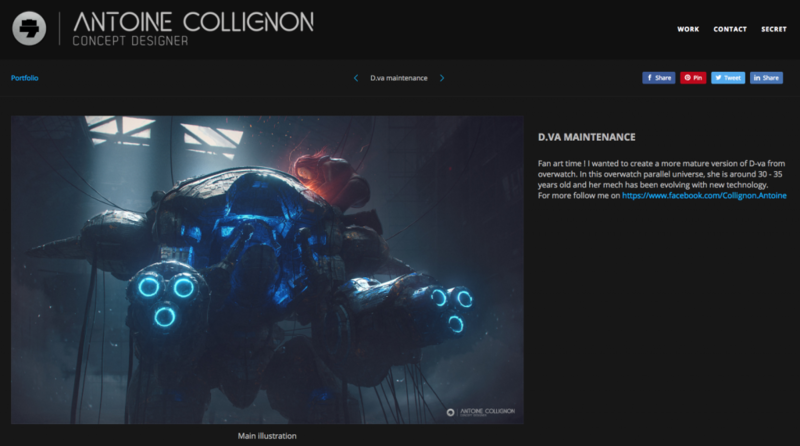 At its core, every artist on ArtStation gets a free, beautiful portfolio website that is automatically updated when you post to ArtStation. Clients and recruiters can find you easily on ArtStation and visit your ArtStation-powered website. Forget having to manage your own website separately and abandoning it! ArtStation Pro offers even more comprehensive features to set up your web presence including professionally designed themes, additional customizability, password-protected pages and more. When we launched ArtStation Pro in Dec 2016, we rolled it out with a simple design without many options. We now offer the ability to select different fonts for the Pro themes: Basic, Bombastic, Vertical and Horizon. We’ve selected fonts from Google Fonts that work well with the theme. You can always override the font to your own using the custom CSS overrides (below). Customize fonts on your ArtStation site now any way you want. 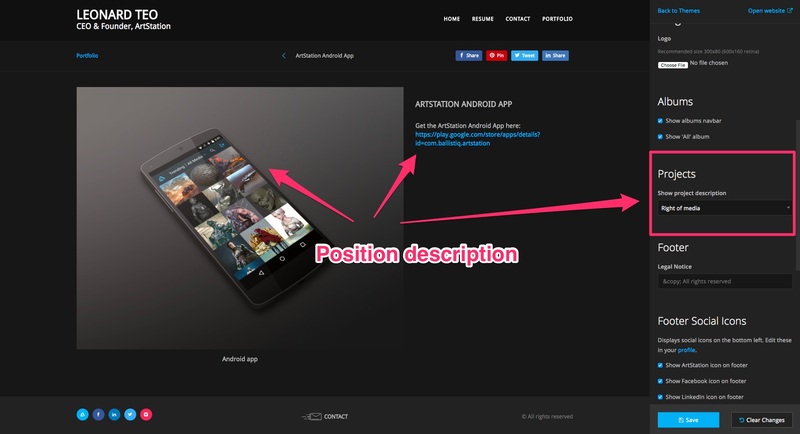 We got some interesting feedback from users regarding the placement of the description and images on ArtStation websites. On the community site, we have a side-by-side configuration where the images show on the left, and the description shows up on the right side, but on the user websites the description was always showing above the artwork which was causing some artworks to be pushed down quite far. We’ve now provided options for you to select whether you want to show the description above, to the right or below the media! This lets you choose exactly how you want to present your work. If the description isn’t so important, you can put it below the project, etc. Customize where you want the description: above media, to the right of media (shown) or below media. Customize the position via your theme customizer and see the changes in real-time. Custom CSS overrides provides a powerful way to get exactly the look you’re after.